The restaurant which can seat around 140 people is the brainchild of Mr. Veer Vijay Singh who used to be a familiar face at Taj Krishna Hyderabad. 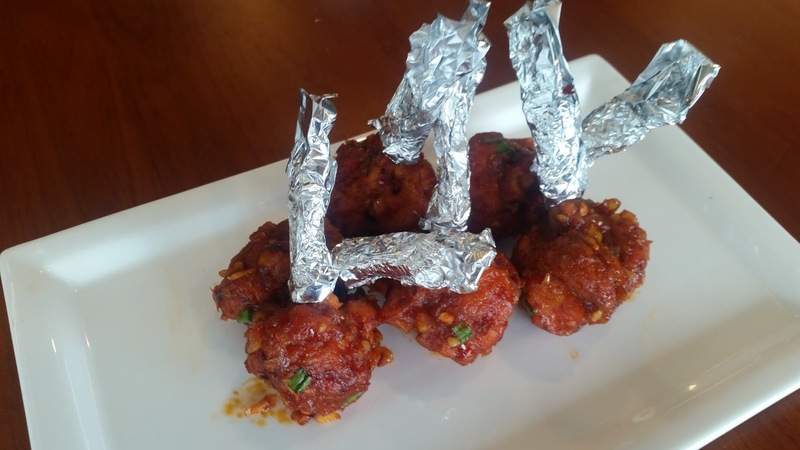 Both his sons manage the restaurant which has an inaugural offer of Rs 750 (plus taxes) for the multi-cuisine buffet that they serve. The place which has a nice view of the adjoining road and City Centre Mall serves a-la-carte dishes as well. Invited to a bloggers table to sample some of their food, I was welcomed with a mocktail named Green Garden which had an apple juice base with kiwi, lime and mint flavours. The drink was extremely smooth and refreshing and I went for a repeat during the lunch. While waiting for the delicacies to arrive, I had a detailed look at their menu. 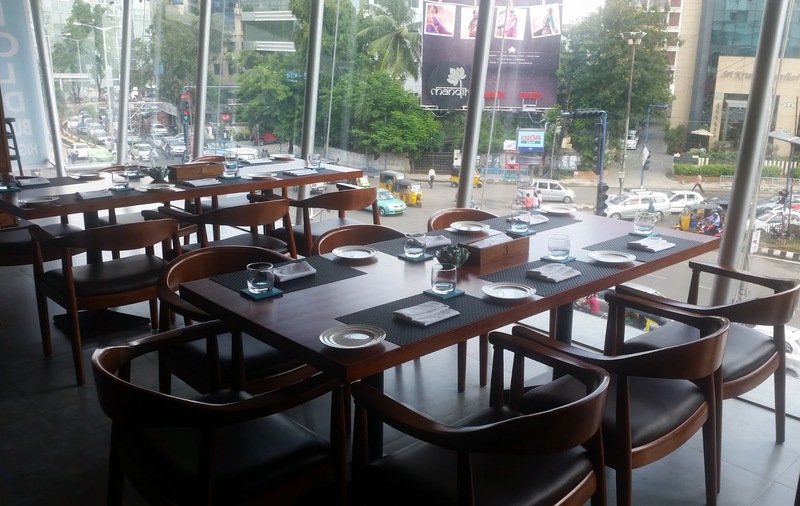 The a-la-carte menu is divided into three parts – Indian, Eurasian, and Oriental. 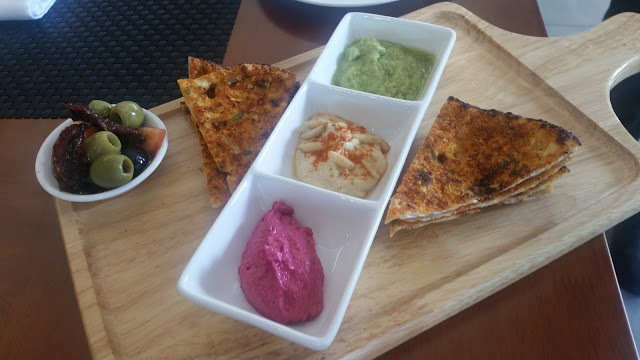 Quite a few of the dishes from each menu looked interesting, a few of them being Sashimis, Trio of Hummus and Khyber Gosht. 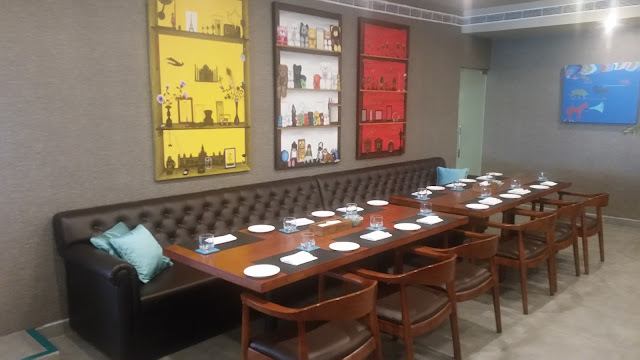 The restaurant has different chefs for Asian, Indian and continental cuisines, and the buffet offers delicacies from all these cuisines as well as a few contemporary fusion dishes. The buffet takes pride in the number of starters which are served. 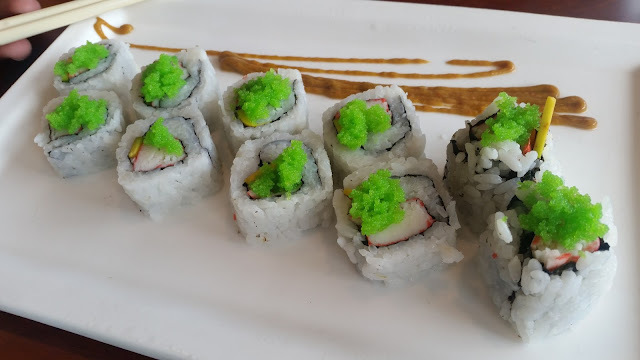 We were served four varieties of sushis. There was California Roll with crab meat in it, a prawn based sushi, and Futo Maki with assorted vegetables. 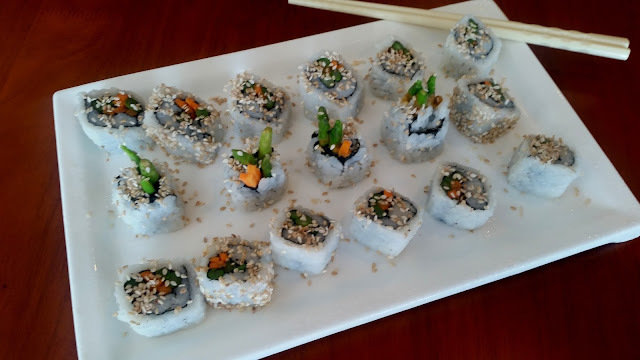 The sushis were served with soy sauce, wasabi and gari. Also on display was a special wasabi which was literally “mind blowing”, many of us took a bit of time to recover after tasting it. Dim Sums followed the sushis. 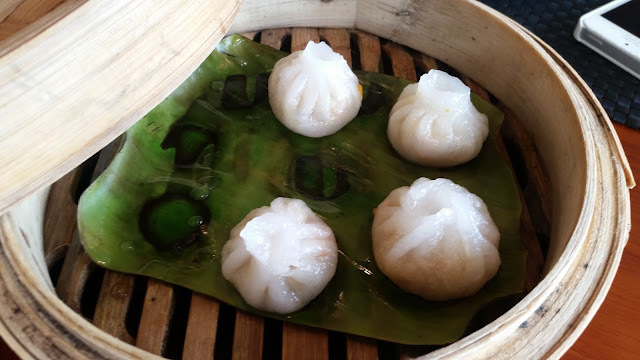 The translucent Crystal Vegetable Dumpling was my favorite of the three varieties served; the Kothe too had a nice stuffing of chicken. 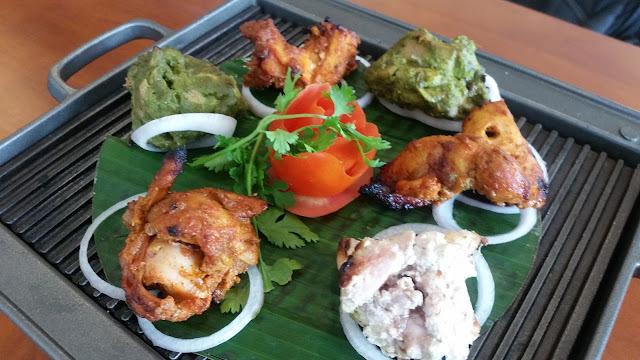 After the oriental short-eats, it was time for the Kabab Platter to make an impact. The platter had fish and chicken kababs in three types of marinades – the usual tandoori masala, malai, and green. The platter was attractively styled and the food got devoured in no time. The red-coloured Chicken Lollypops, a favourite of Hyderabadis were nice and crunchy. By now, more starters had trooped in and I was starting to lose count of the number of starters we were served. 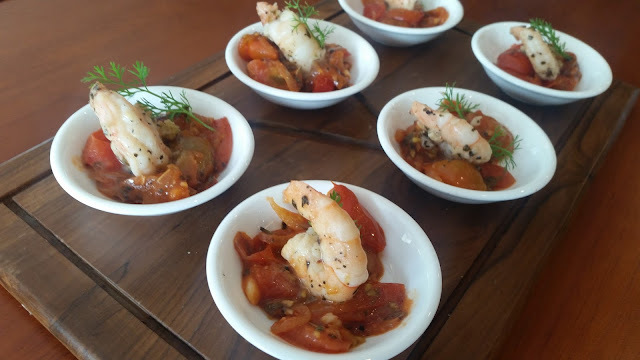 Stuffed Mushroom was one which stood out, and there were some nice Grilled Prawns served in delightful cherry tomato salsa. 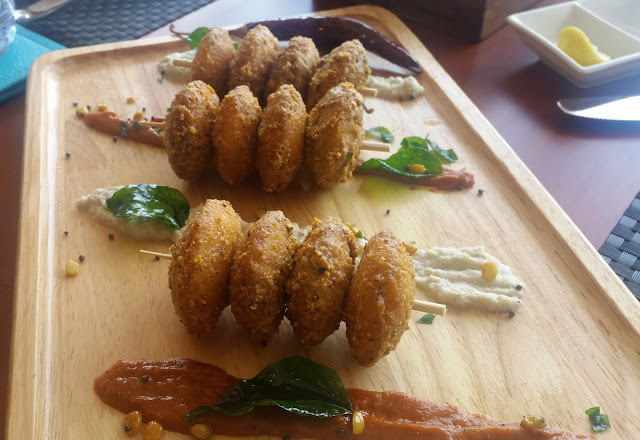 There were tiffin items from the South Indian cuisine too – brilliantly plated Podi Idlis with some allam and coconut chutneys deserve a mention here. We were told that Chicken Butter Masala was a star dish here and indeed it was one of the better ones I had in Hyderabad. It is a Lahori preparation where the butter and tomato gravy is tempered with dry methi. 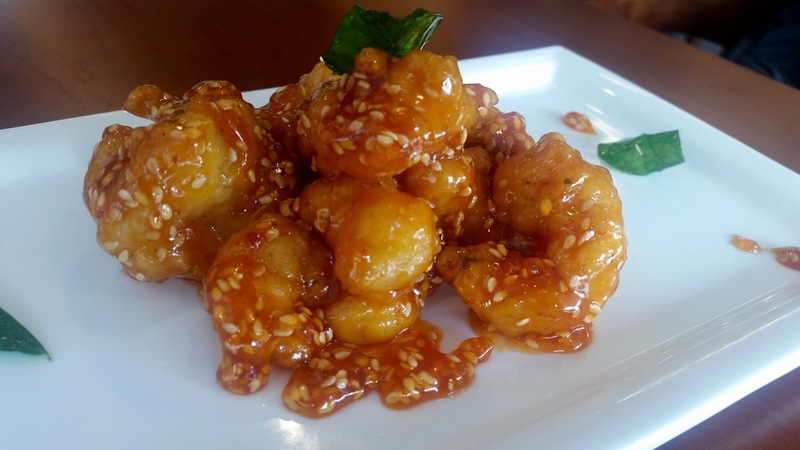 From the oriental stable, we sampled Marmalade Prawns. 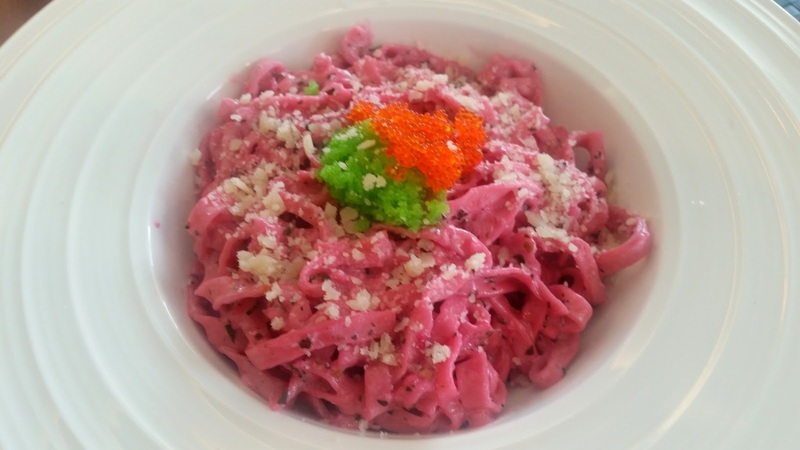 From the continental kitchen, Linguini prepared with beetroot extract had a nice color, and the pasta tasted quite nice too. 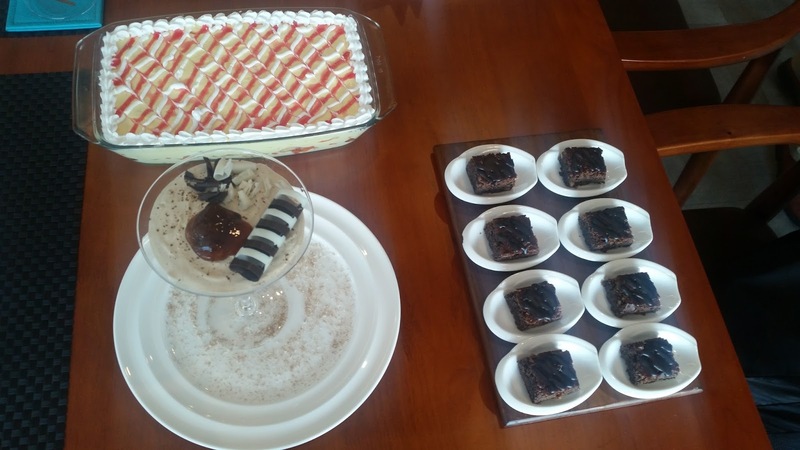 The desserts brought out were Coconut Cheesecake, Tiramisu, and Chocolate Brownies. Though I do not consider myself as a fan of desserts in general, the Tiramisu was the one I liked most. 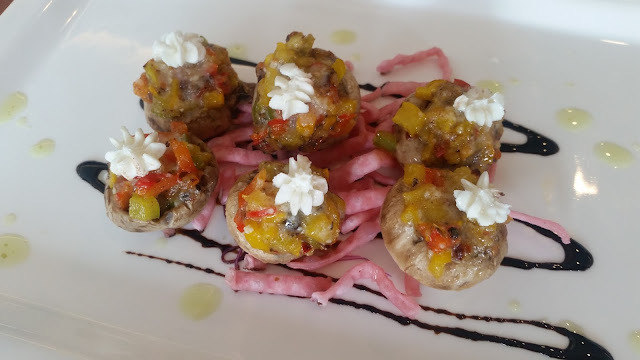 If there is one reason I would visit the restaurant, it is the variety of the starters. 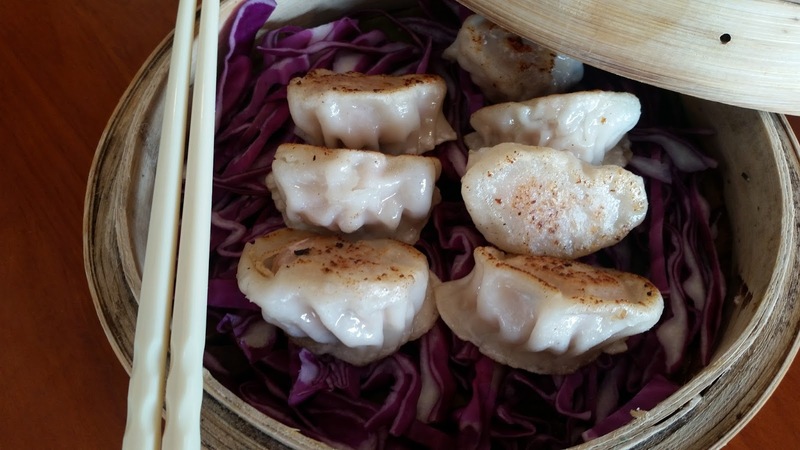 They have short eats from all over the world, including some attractive fusion dishes. 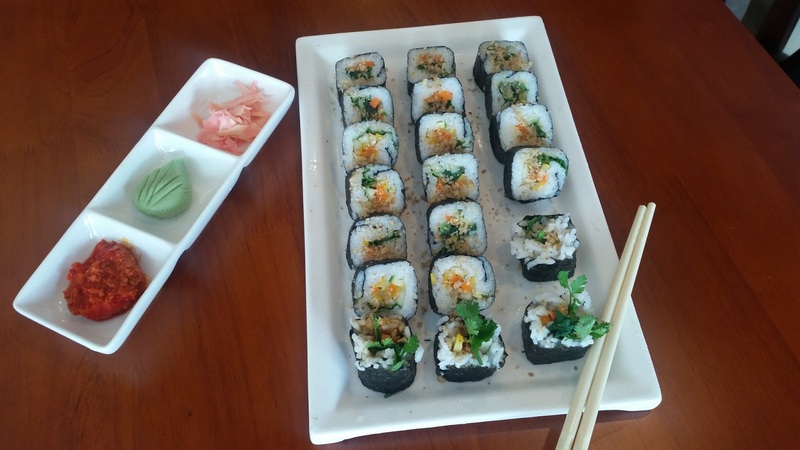 A special note to the fans of Japanese cuisine, they can enjoy their sushis and sashimis here. I would also like to go back and try a few select items from the main course of each of their menus – continental, Indian and oriental.